Only 19% of Leicestershire secondary school children are getting their recommended daily exercise. Only 19% of Leicestershire secondary school children are getting their recommended level daily of exercise, with just under a third (30%) admitting that they’re aware they should be getting at least seven hours a week. Those are the concerning facts according to research conducted by Aggregate Industries and Leicester Tigers, as part of their Concrete Rugby programme, which encourages health and wellbeing in young people. National guidelines state children should be getting approximately 60 mins of exercise a day. However over half the children surveyed (57%) said they spend most of their time outside of school either watching TV or gaming and over a third (38%) plan to do the same during the school holidays. That’s why Aggregate Industries and Leicester Tigers are launching ‘Get on Your Bike’, an initiative to get school children in Leicestershire more active and spending more time cycling. Whilst 83% of the pupils claimed to own a bike, a third (34%) admitted that they sometimes ride it less than once a week, and only 8% ride it to school. 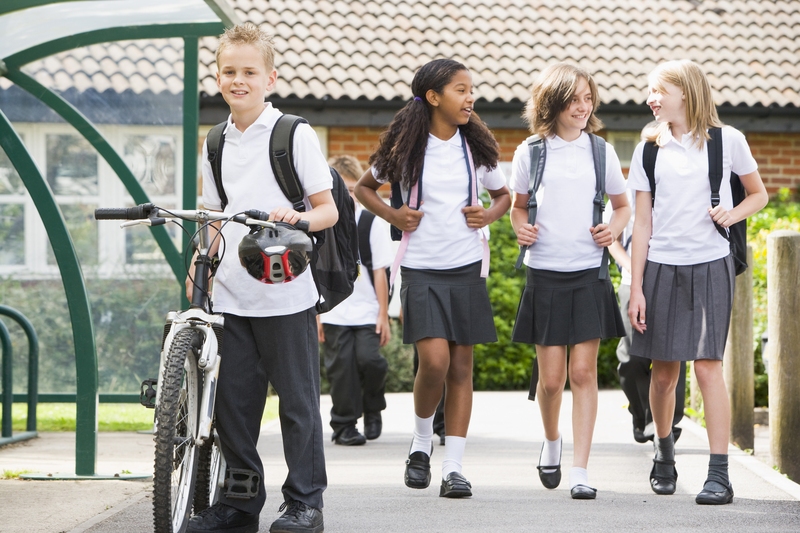 The two organisations believe that spending just 15 minutes cycling to and from school could make a real difference to a child's fitness, establishing healthy habits that could remain with them into adulthood. To drive the message home, representatives from the Leicester Tigers and Aggregate Industries will be visiting numerous schools across Leicestershire to discuss with pupils the importance of a healthy lifestyle, exercise and the benefits of spending time outdoors. They’ll also be covering topics such as ‘sustainability’ and how cycling can help the environment, as well as ‘cycle safety’ and how to stay safe whilst on the road. François Pétry, CEO of Aggregate Industries, comments: “The fact that only 19% of school children in Leicestershire are getting their recommended amount of daily exercise is worrying. Through this campaign, we want to educate young people about the importance of maintaining a healthy lifestyle, in the hope that it becomes a lifelong habit. Chris Rose, head of brand at Leicester Tigers, added: “The research carried out has raised some interesting facts about how active youngsters across the region are. As part of our continued work with Aggregate Industries, we’re keen to get involved with helping kids be more active. Aggregate Industries will also be launching a social media campaign, encouraging pupils to get involved by asking a friend to take pictures or videos of them with their bike (in a safe space) and tweeting @aggregateuk, using the hashtag #getonyourbike. There will also be videos from Aggregate Industries staff and Leicester Tigers players, discussing how they stay fit off the field / on the weekends, what some of their favourite exercises are and what they love about cycling.